When looking for window coverings, you may want to consider draperies. 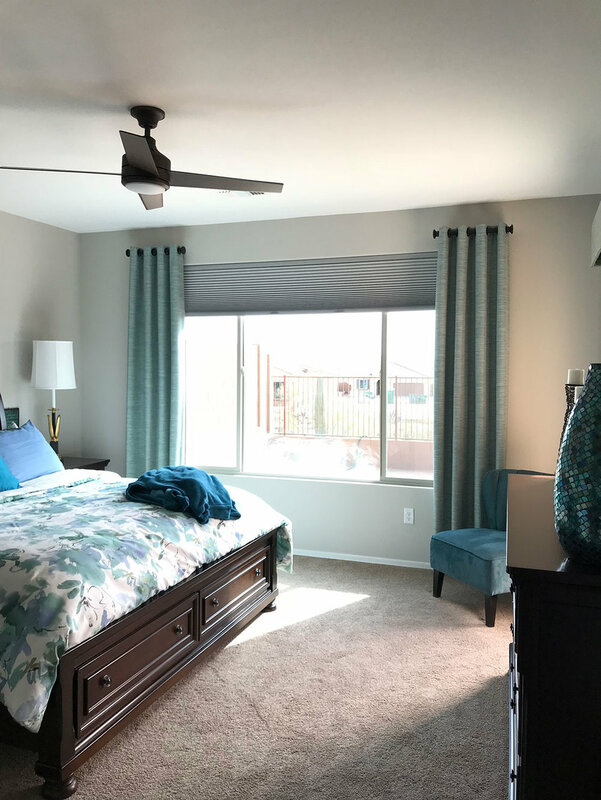 For your free design consultation, you’ll meet with Desert Wind Shutters’ drapery expert, Connie. She has a degree in interior design, has been in the drapery industry for 7+ years, and loves helping our customers find the draperies that tie their rooms together, making a house feel more like your home. She’ll listen to your needs and get a feel for your aesthetic style, guiding the process by assisting in picking colors and styles. Connie especially excels in difficult decisions, such as matching top treatments, and combining both soft and hard window coverings. She loves assisting the process without making decisions for you, or obligating you to buy - her goal is to provide a design experience that leaves you feeling great about your home every day, for years to come. Remember, draperies are a long term investment - you can expect them to last 18 to 20 years - and they can often be a defining element in a room. This is why we we’re here to advise in the process of framing your view with the right colors and fabric choices - it can be a little overwhelming without the right person there to make suggestions. Once ordered, we’ll have your new, beautiful window coverings professionally installed within 4-6 weeks.